Cambodia was one of the first destinations that we visited with our kids, in actual fact I was about 5 months pregnant with Avalee. 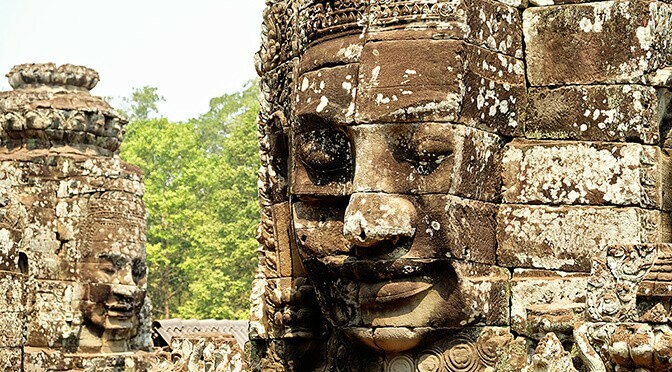 To help you prepare for your Cambodia holiday, you can read our pre-Cambodia travel advice post and then use our post on the top places to see in Cambodia, as well as our 2 week Cambodia itinerary to help you plan your ideal trip. Cambodia is great for either couples, friends or for families. You can read all our best posts in this Cambodia travel blog section. Cambodia is an easy Asian country to travel with kids. Cambodia holidays are pretty affordable (if not cheap) and it is easy to hop on a tuk tuk to make your way around town. Many of the best attractions in Cambodia are outdoors which can make things much easier for travelling families. There are a wide range of gorgeous family oriented hotels in Cambodia; most of which offer swimming pools and kids clubs. There are also always western style restaurants available for fussy kids. Our kids pretty much ate pizza or pasta for the whole duration of the trip haha! We have loads of fun videos of our travels of Cambodia on our YouTube channel.